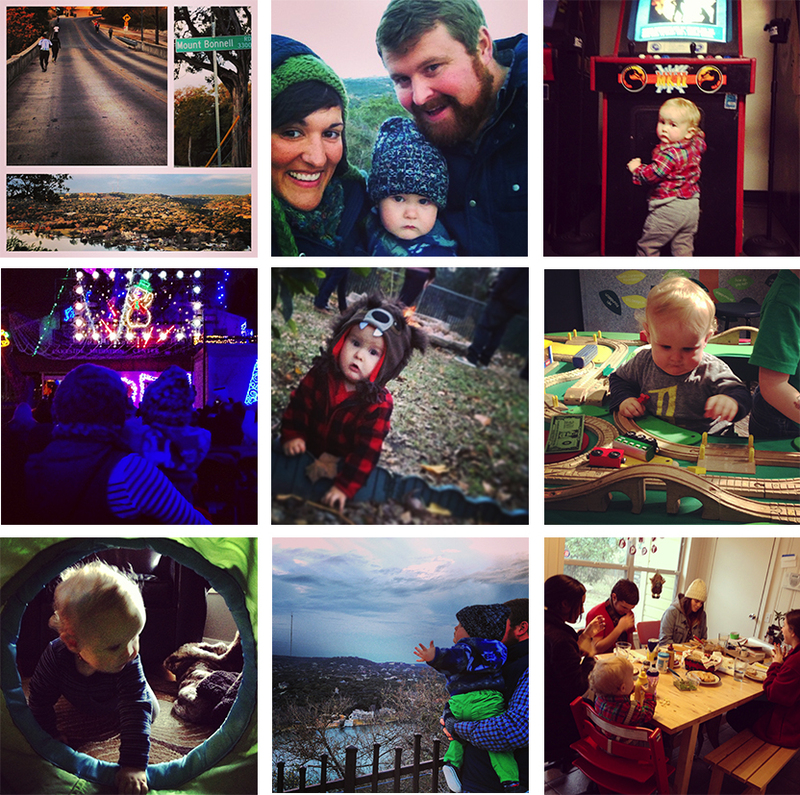 We had an Instagram-rific day over here. It started out chore-filled and totally mundane. I can't quite figure out why it feels almost as good to take Christmas decorations down as it does to put them up. I guess it just makes things feel fresh. A fresh start. Appropriate for a new year. After nap, we sat down to eat lunch together and then loaded the diaper bag for a family date. The Austin Children's Museum is free on Sunday evenings and Eddy felt like a total big kid. Next, we meandered through town and climbed Mt. Bonnell, watched the awesome holiday light display coordinated to music at Mozart's by the lake and ended by hopping next door to have dinner at Hula Hut. There wasn't a dull moment. It's New Year's Eve Eve. I'm still working on a resolution worth writing down and sticking to. I'll sleep on it. Following back! Lovely to meet you! And I so agree about taking the Christmas decorations down and feeling 'fresh'...looking forward to seeing more of your lovely family. exсellent points altogether, you simply won a new reader.